No, "Veggie Booty" is not some exotic dance move that should not be mentioned in front kids under the age of 12. Veggie Booty has become a great resource and my mealtime saving grace, so I decided to quickly share it with you! Little Chica has been a pretty good eater since starting on solid foods about 9 months ago. Recently, after turning 1, I started to see the beginnings of Toddler Picky Eater syndrome. I was hoping that Lucy would always be a Rock Star Eater, loving anything and everything. In my New Mother Ignorance, I had dreams of raising healthy, organic children who requested vegetables and turned their noses up at sweets. 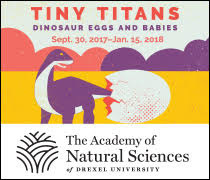 But I, as well as tons of other Momma's out there I'm sure, have had my bubble burst. That is a bit dramatic, as my daughter is young, and I can still encourage a healthy lifestyle. Don't get me wrong, I am thrilled that more often than not, she eats well. But, depending on the day (her mood, the menu, the weather, the phase of the moon, etc), she can become quite a bear at mealtime. Yes, I have been reduced to tears. Yes, because she is 13 months old and doesn't yet understand emotions, she laughed at me. And yes, I cried some more. Little Chica will eat just about any fruit I put in front of her (I know this could change on a moments notice, so I'm not holding my breath), and some meats. Presently, her biggest nemesis is Vegetables. She used to enjoy them. And some days, I can get orange vegetables (carrots or sweet potatoes) into her. I desperately want her to eat the green vegetables, for all their nutritional value. She desperately wants to throw them on the floor (and spread them around her tray, and mash them in her hair, and laugh at me when I begin crying again). When I was in high school, I had a friend who used to let her kids snack on Veggie Booty. I thought it was totally gross. VEGGIES? In a SNACK? Today I think it is straight up GOLD. Veggie Booty are little puffs of rice, corn and various vegetables (those listed on the bag include spinach, kale, carrots and parsley). While it may not be the perfect Food Pyramid serving, I feel that giving Little Chica Veggie Booty is a wise snack choice that provides some vegetables in one form or another. It is not filled with sugar and salt, and Veggie Booty is ALL-NATURAL. Years ago, this snack used to be hard to find. 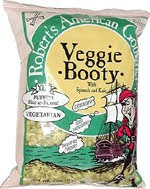 Now that there is a bigger push for natural, healthy and organic foods, you can find Veggie Booty (and other Robert's American Gourmet snacks) in most grocery stores. I really like the aged-cheddar Pirates Booty puffs, myself. These snacks are GOOD. And worthy every penny! So, if you find yourself struggling to get fruits and veggies into your kid, perhaps this is a good solution for you. I feel it helps to bridge the nutrition gap a bit. And as a mom, it gives me the peace of mind that my daughter is getting the fuel she needs to grow (It doesn't hurt that my Little Chica LOVES it as well). Do you have any thoughts or creative ideas on how to get your toddler/child to eat more healthy? I'd love to hear about it and pass it along to the rest of the community! moderndaydonnareed@gmail.com.